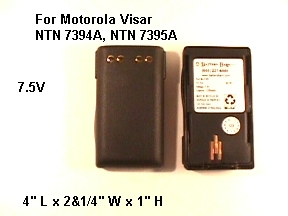 For Motorola Visar, NTN 7394A, NTN-7395A . 7.5V Ni-Mh battery, 2100 mAh. The battery is made by Battery Barn.